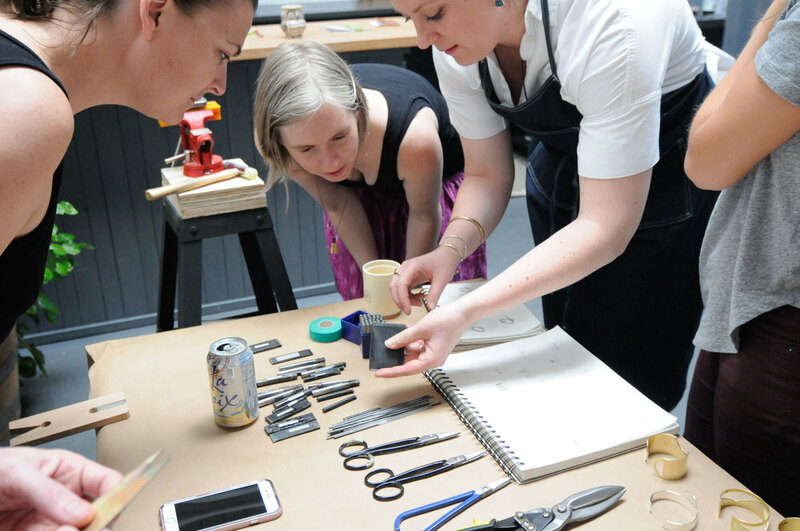 Hosting a jewelry workshop on Mother’s Day weekend was a great way to bring generations of makers together. A handful of crafty daughters and sons brought their mothers along for a morning of creative community-building with designer Betsy Cross of betsy & iya. 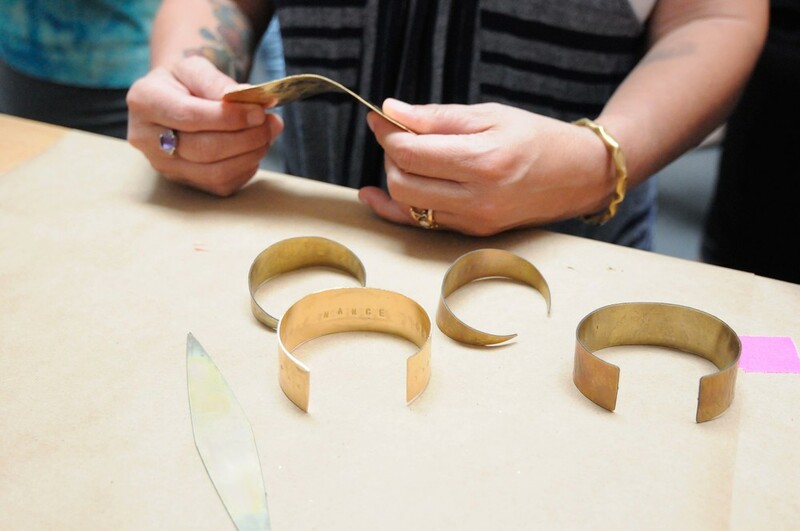 As soon as we opened Tillamook Station’s large yellow garage door, our workshop was buzzing with over 30 attendees, ready to create their own wearable piece of jewelry. After a round of introductions, it was clear the room was full of creatives of all kinds. We had metalsmiths, and also apparel designers. There were sculptors, as well as ceramicists. Everyone was there to make, and also to hear straight from the inspiring Betsy Cross, who started one of Portland’s most successful jewelry brands from the ground up. 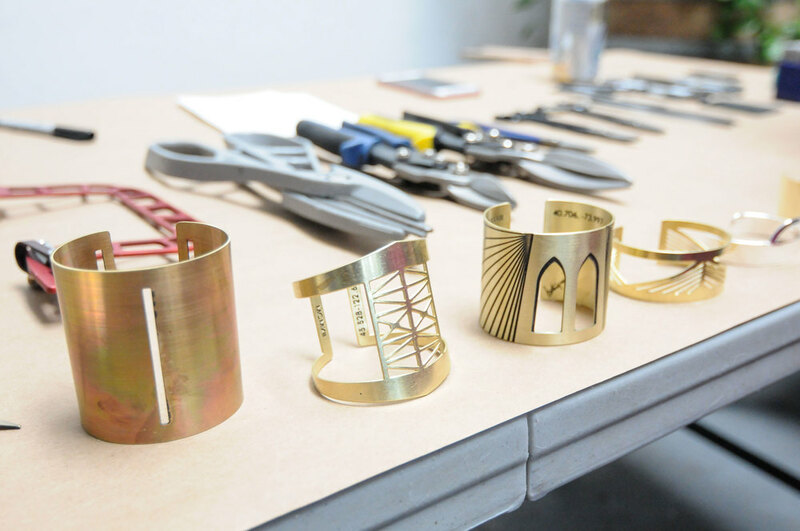 During the rest of the class, we hammered away, turning raw sheets of metal into unique cuffs. Some people stamped letters or Native American symbols into their cuff. Others pounded in texture with just a hammer. In the end, each participant created at least two bracelets and also the courage to indulge in creative adventures and seek out inspiration wherever it may be waiting. Check out more photos here. All images by Susie Morris.